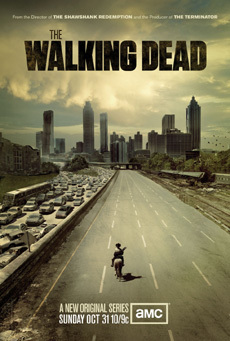 "The Walking Dead" is around for more than 7 years now. There exist 78 issues and 13 companions - still, the series is as popular as ever. 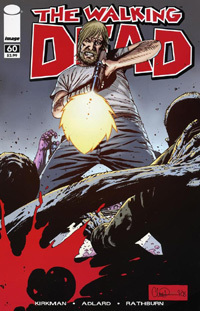 Creator Robert Kirkman originally planned to release "The Walking Dead" as a 6-episode mini-series, but because of the phenomenal success they decided to continue the series. They invented and evolved new stories as well as characters - probably the biggest advantage of the series. There are no main characters, nobody on the planet is safe. There are several different stories about several different persons and the only thing they have in common is the will to survive in an the post-apocalyptic US of undead A. Very often, they mixed the plot up with classic elements from traditional horror literature as well as cinema. There are isolated communities, anthropophagic hordes, and smalltown despots - those who survived as well as the omission of human values are another serious threat for the characters of the stories. It's very much possible that this is another reason for the huge success of the comic series that was made into a TV series in 2010. 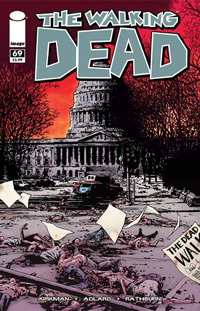 „The Walking Dead“ rarely ever includes any sensational elements. One could argue that the series actually follows the tradition of classic horror movies (there rarely are "in your face"-shock effects). 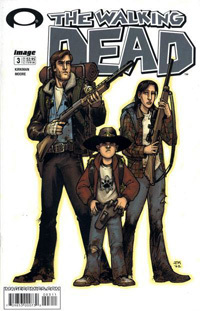 Most of the time the story of the TV series takes place in the hinterland (rather than huge cities which are the most dangerous places to be in modern societies) - Suburbia and Smalltown America. The big cities are crowded with zombies, therefore it would be a suicide mission to enter one of them. The few survivers have to fall back to areas that once were said to be peaceful. The citizens of this "idyllic" hinterland are the main characters of the TV series - small town sheriffs, housewomen, local politicians, and so on (all rather middle class individuals). 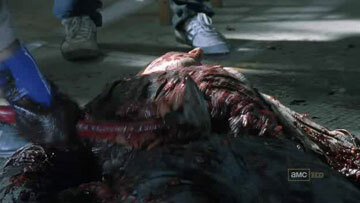 Frank Darabont - the director of the pilot movie - did a great job shooting the scenario. Instead of giving in to excessive bloodshed, fast cutting, or experimental shots he concentrated on a rather "calm" plot; all the characters (who are the main focus of the pilot episode) get enough time to evolve. Even though Darabont used rather vintage rhetorical devices, "The Walking Dead" really is a refreshing experience (especially since most of the zombie movies nowadays seem rather stale). As a result, the series was praised by movie critics as well as the audience. „The Walking Dead“ has record-breaking ratings - it was so successful that they commissioned a second season after the first run of the second episode! 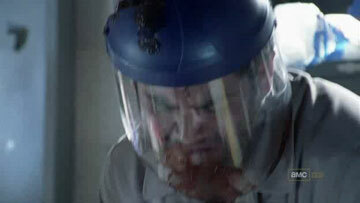 This is a comparison between the US TV Version of the second episode (entitled „Guts“ and aired on amc) and the German TV Version (aired on the German Pay-TV channel Fox Serie). The same version was also aired on FOX in Italy. Therefore one could assume that FOX airs the same version of the episodes in all countries (except the USA). If you have any more information on this, please leave us a comment! Overall, the German Version misses out on 8.96 seconds. At least this only concerns episode 2 and 5 and not episode 1 as well. Episode 1 had to be cut around 20 minutes for the European pay-TV airing. The UK BD includes the uncut pilot episode. 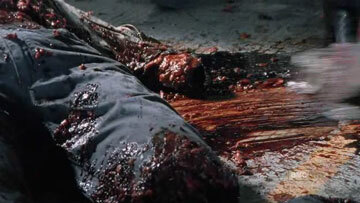 Rick hacks the corpse into pieces - when he hits it for the second time, the arm flies away. Now, the axe is smashed into the corpse's abdominal cavity. Hands go in, guts go out.